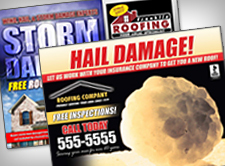 Providing daily and real-time reports of hail, damaging winds, and tornadoes. We offer three standard service packages: Golf ball ($50/month), Baseball ($75/month) and Softball ($99/month) — which can be customized based on your company’s need for daily reporting and real-time notification. Choose from a standard package detailed below, or work with our team to build a custom package based on your specific needs. 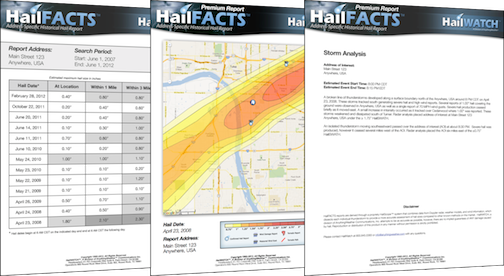 Don’t wonder if it has hailed, know in real-time when and where hailstorms are occurring. Stay ahead of the weather and your competition. Subscribe today.